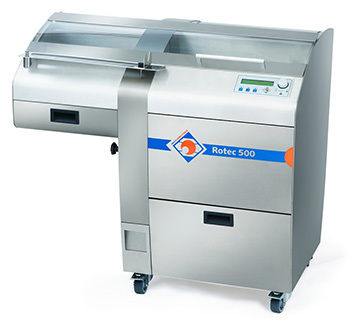 ROTEC BREAD SLICER｜Roots Trading Co., Ltd. Cutting is done in the cabinet with protection cover, very safe and clean. Mechanically controlled slicer with circular blades. Flow supply system makes possible to slice any type of breads. Various range of extension: Automatic bread supply, metal detector, infrared disinfect installation. 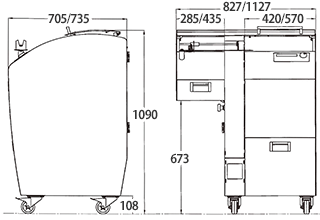 Servomotor controls machine with high-spec circular blades. Freshly baked bread with core temperature around 40℃ can also be sliced. Complete automatic bread transportation, Infrared disinfect installation, Servomotor controls, made of stainless.